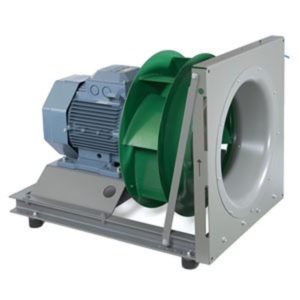 Fan selection is not only dependent on the air quantity (cfm) and the static pressure it has to overcome, it also depends on what is in the air that is being moved or what cannot be there. 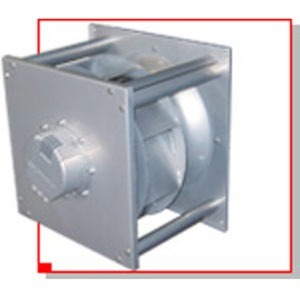 Air handlers that supply air for comfort applications typically utilize a forward curve or backward incline fan arrangement with the motor belts, base and pulleys in the air stream. 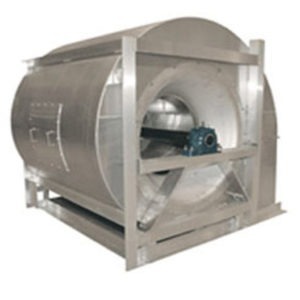 We believe Cleanroom applications require there be no belts in the airstream, as the entire duct and air handler interiors require periodic cleaning or disinfecting. 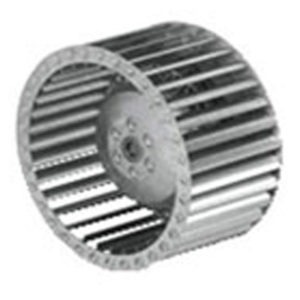 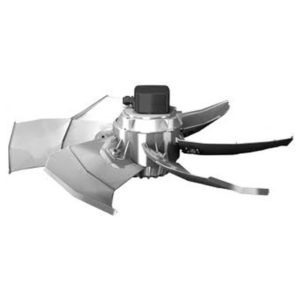 We have exclusively used direct drive fans since 2004, and almost exclusively ECM motors since 2008. 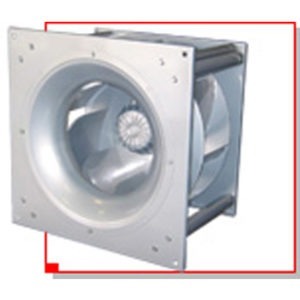 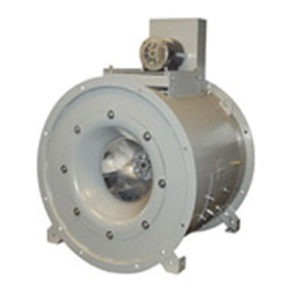 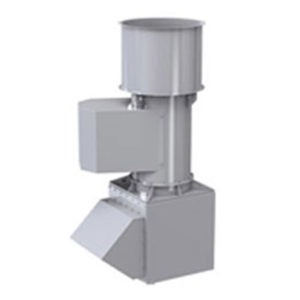 We use fan arrays of multiple fans to meet the required air quaintly and static pressure.